Chris Waller’s record breaking training achievements reached dizzying heights at Randwick yesterday as Shraaoh landed the $A2million Sydney Cup (3200m) to give the him success in three of the four Group 1 events on the second day of The Championships. The half-length success by the European import Shraaoh, who is owned by Australian Bloodstock, followed hot on the heels of Verry Elleegant’s Australian Oaks (2400m) win, while Winx brought the curtain down on her sparkling career by claiming a third consecutive Queen Elizabeth Stakes (2000m). 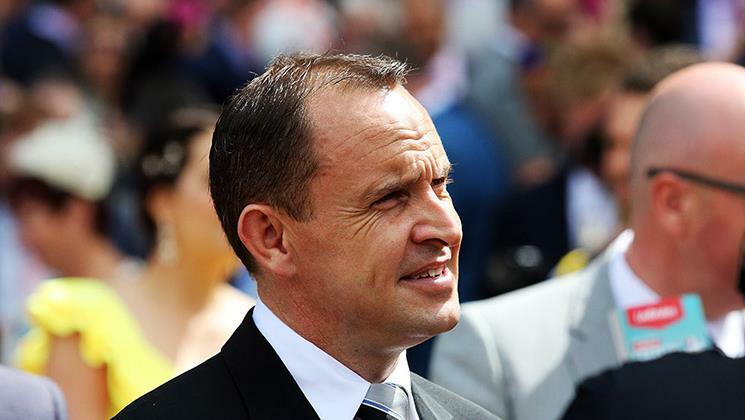 Waller’s three major victories was a repeat of the feat he achieved in the same three races last year. Winx, of course, formed part of the treble back then when winning the Queen Elizabeth for the second time, while Unforgotten landed the Australian Oaks and Who Shot Thebarman took out the Sydney Cup. A winner over 2800 metres on his Australian debut in November, Shraaoh has been brought along steadily this campaign, finishing third in the Group 3 Manion Handicap (2400m) at Rosehill and runner-up in the Group 2 Chairman’s Handicap (2600m) at Randwick last start. But the $12 chance improved again in his first start over 3200m to get the better of the Michael Moroney-trained Vengeur Masque by half a length, with a further length and a half back to New Zealand raider Glory Days in third. The Charlie Appleby-trained Dubhe (Dubawi), who was sent off the $4.40 favourite having been a point shorter earlier in the week, never figured, sitting towards the rear of the 20-strong field early before coming under pressure some way out and failing to respond to Kerrin McEvoy’s urgings. Shraaoh, however, proved a willing partner for Jason Ford, who delivered his mount with a challenge towards the far-side rail to capture his Group 1 success since Monaco Consul took out the Spring Champion Stakes (2000m) in 2009. “It’s certainly pretty satisfying – I’ve ridden the roller coaster for a long time in Sydney,” Ford said. “I used to ride a very good horse (Takeover Target) and then he disappeared and things have been up and down since then. The winner of four races from 19 starts and having been placed on a further seven occasions, Shraaoh has now amassed $1,579,256 in prizemoney.